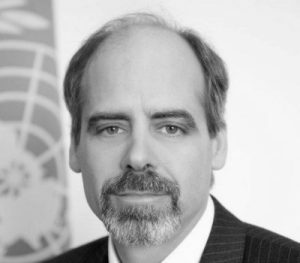 Stefan has been working with the United Nations Development Programme (UNDP) since 1996. He has provided policy advice to Governments and overseen the formulation and delivery of a range of complex, multi-disciplinary development programmes in close partnership with government, bilateral, multi-lateral and other partners in various countries in the Asia/Pacific and Eastern Europe. Before being assigned to Malaysia in May 2017, he led UN and UNDP teams and programs in Uzbekistan, Bangladesh, Bosnia and Herzegovina, Nepal and Bhutan, in addition to short term assignments in some twenty other countries. Stefan holds two Masters degrees in International Relations and Law.